As people nowadays rely more and more on mobile device to take high-quality photos and videos, the need for higher capacity and more reliable backup function is even more urgent. 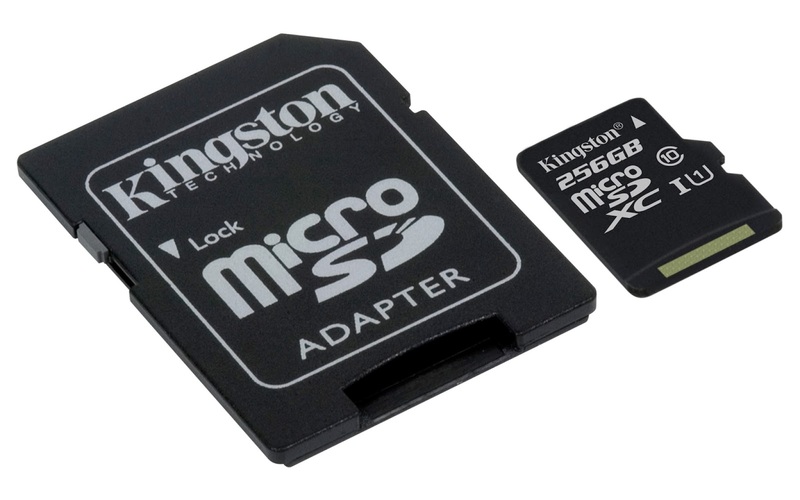 Kingston, the independent world leader in memory products, today announced the addition of the 256GB capacity to its line of Class 10 UHS-I microSDHC / microSDXC cards. The large capacity and Class 10 UHS-I speed allows users to capture more photos (up to 64,000 12MP images) and HD videos (up to 976 minutes at 1080p 30 frames per second) without interruption. The microSDHC / microSDXC Class 10 UHS-I is the smallest form factor SD card available and is the standard expandable storage option for many tablets, smartphones and action cameras. It is ideal for cinema-quality HD (1080p) video and reduces buffer time between shots when compared to Class 4 cards. The versatile card can withstand harsh environments for adventurous travelers as it is waterproof, temperature proof, shock and vibration proof and X-ray proof. Capacities of 16GB to 256GB make it easy to find the right card for one’s needs and provides space for thousands of hi-res photos and hours of video. Class 10 UHS-I microSDHC / microSDXC is available as a stand-alone card or with an SD card adapter in 16GB, 32GB, 64GB, 128GB and 256GB capacities. Kingston recommends its latest readers for best card transfer speeds to and from a computer. The Class 10 UHS-I microSDHC / microSDXC backed by lifetime warranty, free technical support and legendary Kingston reliability.